On Sale Now! 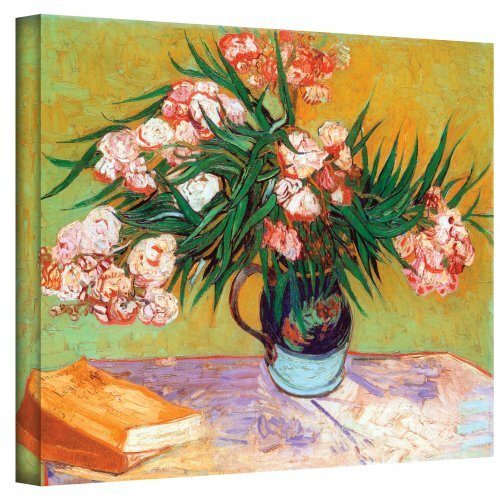 Save 10% on the ArtWall Wild Roses by Vincent Van Gogh Gallery Wrapped Canvas, 36 by 48-Inch by ArtWall at Tecac. MPN: 0van039a1418r. Hurry! Limited time offer. Offer valid only while supplies last. Wild roses (painting), a painting by vincent van gogh. artist: vincent van gogh. completion date: 1890. place of creation: auvers-sur-oise, france. Wild roses (painting), a painting by vincent van gogh. artist: vincent van gogh. completion date: 1890. place of creation: auvers-sur-oise, france. style: post-impressionism. genre: flower painting. technique: oil. material: canvas. gallery: van gogh museum, amsterdam, netherlands . If you have any questions about this product by ArtWall, contact us by completing and submitting the form below. If you are looking for a specif part number, please include it with your message.